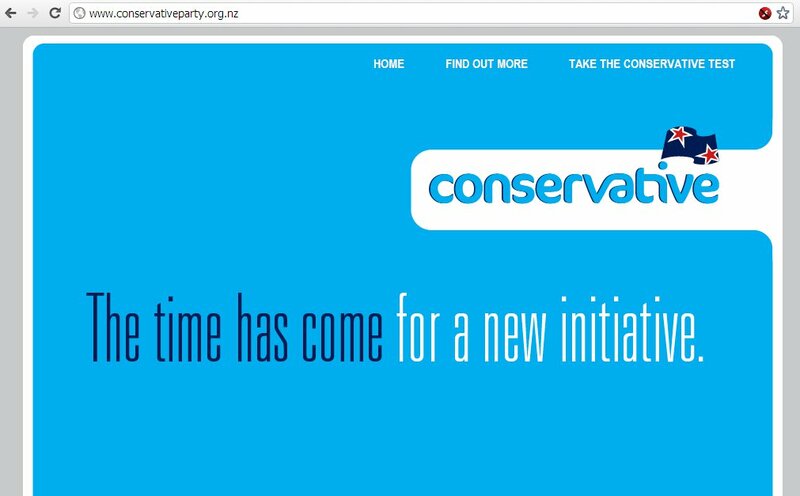 I’m 8/19ths conservative, according to Colin Craig’s Conservative Test, on the website of the Conservative Party of New Zealand that was launched today. This might come as a surprise to some readers, which is fair enough. The questions asked in the quiz are quite poorly-written, complex, contradictory, question-begging, and the colour-coding on the answers marks it out pretty clearly as a polemic exercise; but I simply answered them at face value. There was a brief but pretty worthwhile discussion on twitter about the meanings embedded in the questions, but I decided to just answer them naively: to pick a side based on gut response. That said, I think I probably am more conservative than many of my liberal brethren. Although I disagree very strongly with old-fashioned (‘paleo’) conservatives on many, if not most, policy and philosophical topics, I generally find them easier to understand than either libertarians or neoconservatives, for one major reason: they still believe in society, and especially in its central role in civic and political life. I can have a reasoned debate with someone who accepts that there is such a thing as society — and that it has a meaningful role to play in government, and vice-versa. It’s much harder to do so with those who (like Thatcher) simply deny its existence, or those who (like Norquist) having grudgingly admitted that society is not simply a figment of the collective socialist imagination, would prefer to drown it in the bathtub. Perhaps the role of the Christian Right is a necessary one; it does not prevent change but it slows it and makes sure there’s enough discussion that the more conservative members of our society don’t get left behind and alienated from a society that moves too quickly and doesn’t take the time to persuade them and bring them along. While I campaign for more liberal and progressive progress, I’m not sure I would be willing to pay the price of a divided antagonistic society. Perhaps I should thank the Christian Right for slowing us down enough that we can move together as a community. Anita’s argument is very dear to me. I want the sort of society I want, of course, but I don’t want a society where whoever holds 51% of the power at present can enact swift, revolutionary changes that alienate the other 49% — or at least that they cannot do so with impunity. This is at root a very conservative view, although not in the polemic sense of that word. So, although I disagree of most of what it stands for, inasmuch as New Zealand conservatives are presently served pretty poorly, I think a conservative party could be a useful addition to the political canon. The blue they’ve chosen is a middling sort of shade, neither ACT’s teal or National’s royal blue, similar to the shade I criticised previously when used in anti-MMP ads by Peter Shirtcliffe. There’s no good reason not to have chosen a deep flag-coloured navy blue here. The typefaces, far from being the solid, dependable sort we expect, are incongruous — one is cartoonish, the other is frightfully modern. If there was ever a decent time to deploy a newspaper font, this was surely it. In this regard, however, the effort isn’t quite as bad as Reform NZ, whose designers, in their wisdom, chose a font very similar to that used by LOLcat images. 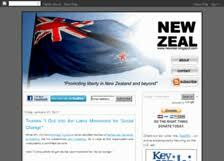 Even his New Zealand flag is cartoonish — the opposite of the dignified, patriotic image they should be pitching for. They could have done a lot worse than emulating the masthead of Trevor Loudon’s old blog, which was one of the most striking in NZ — though now replaced by a dull white banner (the image at right salvaged from google image thumbnails). There is also the perverse ideological incentive noted by Cactus Kate, that he seeks to disrupt ACT’s success in Epsom and thereby puts at risk the re-election of the Key government; if this happens, Labour’s proposed capital gains tax will likely be enacted, which would substantially disadvantage both himself personally (as a property investor) and many of his voters. But in the final analysis, the biggest obstacle to the Conservative Party’s success is conservatism itself. By definition, conservative voters are reluctant to switch their support from one political vehicle to another. They require very good reasons to switch, and there is nothing to indicate that the Conservative Party will provide them. Since I’m in the middle of deadline crush, and I spent yesterday afternoon socialising instead of working, just a couple of quick notes. Overall my initial impressions of the CGT and associated policy is that it’s pretty good, but vulnerable to attack. There are the usual economic and ideological objections — full of loopholes, won’t raise enough revenue, raises rents, punishes people for getting ahead, will require more borrowing in the medium term, and so on — but for mine the best attack line rests on the coincidence of taxation rates between CGT and GST. If I were running the National party’s attack campaign, I’d be leading with “Tax off fruit & veg, tax on houses”, or better yet, “tax on bricks & mortar”. Just another of many reasons why GST off fruit & veg is bad policy. So Speaker Lockwood Smith ejected Hone Harawira from Parliament for swearing his oath to the Treaty of Waitangi rather than to the Crown — despite having pulled a similar stunt in 2005 without incident. There is the usual sort of wailing and gnashing about this around the traps, and it seems to have pressed everyone’s ‘sanctimonious outrage’ buttons. What I find strange is that people seem reluctant to see the stunt for what it is — mutual base-arousal, brand politics for both Harawira and Smith. Hone Harawira was, to a large extent, elected to anger and infuriate uptight honkeys like Smith and the KBR and the talkback haters, and inasmuch as his defiance of procedure has achieved that he’s winning. Smith, for his own, has brought a new dignity and solemnity to Parliament, and his personal brand of conservatism requires that he takes a firm stance. Both acted perfectly well to type, and in a sense each has done the other a favour, by granting an opportunity to grandstand. The people who are hating on Hone were never going to vote for him; and likewise for Smith. To an extent there’s also some base arousal by the māori party, too — they have fallin in behind Hone, and are calling for the Treaty to be included in the oath. That’s a useful societal discussion to have. I find it particularly ironical that the sort of people who are so scathing and disrespectful about Māori ceremony have their dander up regarding this rather minor infraction of procedure; many seem to be raising the counterfactual of ‘imagine the outcry if this happened on a marae!” The thing is, though, in Te Ao Māori as elsewhere, kawa are made to be broken. How and when and why they are broken, and by whom, is key. With suitable mana, ihi, wehi, you can get away with a lot. There is a famous account of Dame Whina Cooper lifting her skirts to remind the men present to respect where they came from. I think, in these terms, it was much worse for Hone that his korowai fell off. Contra this view, however, Annabelle Lee-Harris from Native Affairs says she’s heard from left-wing Māori who are angry with Hone for trivialising and causing another sideshow; that they thought he was “indulgent when Māori in Te Tai Tokerau are in dire straits’. So maybe I’m wrong. But the bottom line is: Hone Harawira was elected to Parliament by a higher power than the Speaker; all else is procedural. Imagine that title in scary-movie-narrator-voice. 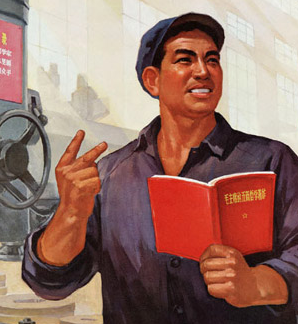 Via Pascal’s Bookie, a simply magnificent piece of propaganda from Personhood USA. This two-minute ad is superbly done. It frames Colorado’s 1967 abortion law as the beginning of the end, and Amendment 62 in Colorado, which aims to declare that personhood begins at the moment of fertilisation, as the beginning of the battle to save America. Amendment 62 is up for the vote at the mid-term elections in November. What we have here is clearly not the work of amateurs, nor of itinerant cranks in trailer parks, as many (including myself) have mocked the Tea Party movement. It draws together all the conventional Tea Party wisdom about what’s wrong with America into powerfully truthy narrative: start with a misappropriated Jefferson quote; follow up with Semitic “men in black robes” who hate truth, justice and the freedom and “legislate from the bench”; portray the fringe radical rump of conservative white folk as a valiant oppressed minority group; intolerant millennial-cult hypervigilance as the American Way; Obamacare as morality and human life being bought and sold as a commodity (oh, the irony! ); and most crucially, Obama himself as the Grim Reaper, the lynchpin of it all, with the caption “Then the Angel of Death arrived, and Hell followed with him”. The whole thing is capped with fireworks and the Statue of Liberty, a Daisy-esque girl fading to black and a fist-pumping don’t-tread-on-me baby. And the soundtrack really just speaks for itself. The whole thing is absolutely barking. In the cold light of day it’s nothing more than a Dan Brown plot. It’s fevered stuff, wound up to eleven to inflame passion and suppress reason. But that’s the whole point: this ad is basically the movie trailer for the upcoming battle for America’s soul, coming soon to a screen near you. Just sit back, let it wash over you, and marvel at what that country has become. Normally Radio NZ National’s The Panel is a pretty sound — if somewhat fluffy — current affairs show, in which the panelists are ideologically fairly diverse (though not occupationally diverse; mostly celebrities, PR flacks, or newspaper columnists). They tend to leave aside their more extravagant views to engage in a fairly civil and reasoned manner. Well, I sort of agree with the last one. But this is the sort of reactionary love-fest we expect from the rest of the opinion media, not from Radio NZ. It’s not the conservatism I can’t stand; it’s the absence of reflection and the naïve belief that the world really is that simple. Update: To demonstrate the extent to which I’m not exaggerating, you can listen here.